Lotto Belisol's Tony Gallopin won Stage 11 of the Tour de France with an impressive attack to the line in Oyonnax. The 26 year old french professional delivered a stellar performance as he powered to stay ahead of the chase group after a challenging 187 kilometers. Gallopin also earned the yellow jersey for one stage earlier in the Tour and this great victory has been another dream come true as it is his first victory for the team and the second win for SRM sponsored team, Lotto Belisol, this Tour de France. Stage 6 of the Tour de France covered 194 kilometers from Arras to Reims in the Champagne region of France. As predicted, the race ended in a bunch sprint with Lotto Belisol's National Road Champion, André Greipel, taking the win. 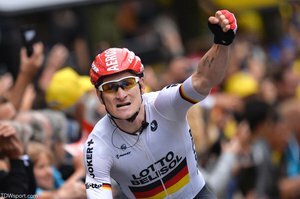 Greipel and teammate, Van den Broeck, rode attentively at the front with 10 kilometers remaining and the team put together a strategic final lead up for Lotto's first stage victory in the 101st Tour de France. The highly anticipated Tour de France cobblestone stage from Ypres to Arenberg took place today under stormy skies with especially muddy and slick course conditions. 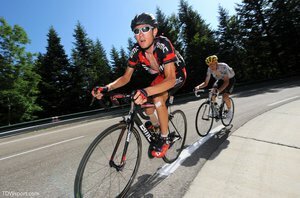 The stage saw many crashes with defending Tour de France champion, Chris Froome (Team Sky), withdrawing from the race after a fall. 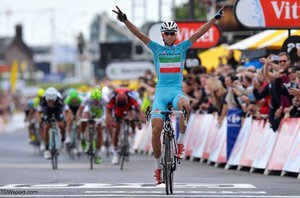 Lars Boom (Belkin Pro Cycling) took the win while SRM teams continue to hold all leaders jerseys: Vincenzo Nibali (Astana) in yellow as GC leader, Cyril Lemoine (Cofidis) in polka-dots for mountains classification, and Peter Sagan (Cannondale) leading in points and young rider. 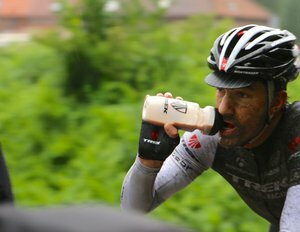 Below is an SRM photo gallery from Amy de Wall capturing the days efforts and expressions.